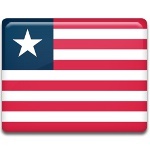 7 January is Pioneer's Day in Liberia. Although this is a public holiday, its celebration is controversial. “The pioneers” stands for the first Americo-Liberians, mostly of whom were freed slaves, that arrived in Africa in 1820 and established their own colony with the help of the American Colonization Society. Unlike other countries in Africa, Liberia was colonized by United States colonization while the territory was occupied by the native Africans. The colony was called Liberia and in 1824 its new Constitution was adopted. In 1847 the colony officially became the Republic of Liberia with its government established on the model of the U.S. Its capital was called Monrovia after James Monroe, the 5th president of the United States. Why is Pioneer's Day in Liberia is controversial? The thing is that there is some tension in the relationships between Americo-Liberians and native Liberians who are the majority. Americo-Liberians consider the indigenous Liberians as the lower class. This is the reason why this holiday is not accepted by all Liberians. The conflicts between the descendants of Americo-Liberians and Liberians do not let this holiday become common for the whole nation.